It’s real­ly deceiv­ing, because at first glance it seems pret­ty straight­for­ward — you stick some plants in the water, change out some water every week, and make sure it doesn’t get too hot or cold. How hard can it be, right? 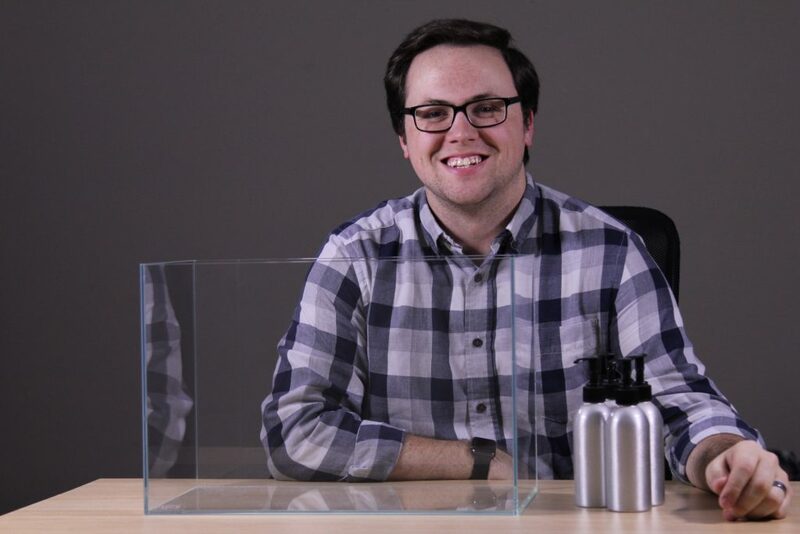 For­tu­nate­ly, there’s tons of infor­ma­tion online about basi­cal­ly any­thing you’d ever want to know about aquas­cap­ing. Every­thing from specifics on grow­ing back­ground plants, to the pre­cise envi­ron­ment val­ues that allow your dry-start car­pet to grow out perfectly. The prob­lem is the qual­i­ty of infor­ma­tion — there’s lots of bad con­tent out there that caus­es dead plants — and worse—dead fish. That’s why we start­ed this site: we got tired of con­tent that was mis­lead­ing, inac­cu­rate, or just plain wrong. We’re on a mis­sion to make aquas­cap­ing an eas­i­er hob­by for both begin­ners and vet­er­ans alike. No mat­ter where you are in your jour­ney through aquas­cap­ing, there’s a place for you here, and we’re glad you found us! Most of our writ­ten pieces are in a review for­mat. We’ll con­sid­er a top­ic — sub­strates, for exam­ple — and pur­chase just about every type of sub­strate suit­able for aquas­cap­ing. Var­i­ous brands, retail­ers, and types — we’ll get it all. Then we vig­or­ous­ly test these prod­ucts (or tech­niques) in mul­ti­ple sit­u­a­tions. We’ll see which brands are hyped, and which prod­ucts are worth the money. After doing all this, we’ll write out our expe­ri­ences, with the top per­form­ers, and give our final rec­om­men­da­tion in the form of ​‘The Pick’. The Pick is our term for the best per­former in a category. Basi­cal­ly, we spend the mon­ey so you don’t have to. Do your com­mis­sions make you biased? To be clear, we specif­i­cal­ly don’t recruit, request, pro­mote, or even know which prod­ucts have affil­i­ate rela­tion­ships as we’re test­ing. The peo­ple test­ing prod­ucts and writ­ing prod­ucts are com­plete­ly dif­fer­ent indi­vid­u­als in most cases. If you choose to pur­chase a prod­uct as a result of one of our reviews, you’re help­ing to sup­port Scape­Lyfe. If any prod­uct sold through Scape­Lyfe is returned, we don’t make any­thing, so we have an incen­tive to rec­om­mend what actu­al­ly works, not just what costs the most, or what pays us the most. This sys­tem actu­al­ly helps pro­vide a pos­i­tive incen­tive for us to cre­ate in-depth, qual­i­ty con­tent for things that you need, and allows us to pro­vide it free of charge, with­out any bias or influ­ence from manufacturers.